Turkey has joined the ICMPD: What does this mean? The Turkish Ministry of Foreign Affairs announced on 15 May that Turkey will join the International Centre for Migration Policy Development (ICMPD). This is yet another step towards embracing the political idea of “migration management”. At the same time, the decision means further expanding Turkey’s cooperation with EU member states with the aim to regulate and control migration into the EU – and into Turkey. The European think tank ICMPD has been known for its proliferation of “migration management” as a key idea in order to regulate and control migration since its foundation in 1993. The term was originally created by the International Organization for Migration (IOM) in its call for “managing migration for the benefit of all”, as its old slogan reads. At a first glance, actors using the term often oppose zero immigration policies and call for more legal migration channels, while also calling for the possibility of refugees to apply for asylum. The idea is that migration should and could be “managed” or regulated in a more efficient and humane way. However, while opposing the idea of completely closed borders, “migration management” also promotes a neoliberal reading of migration: states should accept migrants as long as they serve as useful commodities for their national economies. More than that, the migration management idea comprises authoritarian calls for tough border controls and deportations aiming at all those not fitting into the group of “useful” and/or asylum-seeking people. It is therefore not working for the “benefit of all” as the IOM slogan suggests, but “for the benefit of some”, mainly Western states. At the same time it participates in keeping the global south from getting a piece of the global wealth through migration. In recent years, the term has been more and more used by the EU as a metaphor for stricter border controls. Last, not least, the idea of “migration management” disregards the fact that migration can hardly ever be fully regulated or controlled: a part of the people on the move almost always finds a way of crossing the borders on their search for a better life. This has not only been spectacularly demonstrated during the summer of migration of 2015, when hundreds of thousands managed to enter the EU. Cross-border movements have also happened afterwards, even though in much lower numbers – often at the cost of disenfranchisement and precarization, leading to poor working and living conditions. Taking a look at the first Turkish migration authority founded in 2013 demonstrates how much the idea of “migration management” has influenced Turkey’s approach towards migration within the recent years: the Directorate General of Migration Management (DGMM) carries the term in its title. And also the EU-Turkey deal from March 2016 has been crafted along this political idea, following suggestions by another European think tank, the European Stability Initiative. On its homepage, the ICMPD presents itself as a “sober and neutral companion” to governments, promoting “innovative, comprehensive and sustainable migration policies”. As the think tank states in its press release following Turkey’s accession, its “three pillar approach to migration management – structurally linking research, migration dialogues and capacity building – contributes to better migration policy development world-wide”. One of its main goals is clearly defined as preventing migrants from reaching European states. This is not very surprising, given that most of its member states are members of the EU. Turkey’s joining of the ICMPD therefore might mean yet another step towards further embracing the idea of “migration management” and towards stricter controls, trying to prevent people from reaching the EU. But it might also serve as a means of more strictly regulating migration towards Turkey: after a widely acclaimed period of an open-door policy towards Syrian refugees, making Turkey the biggest refugee hosting country in the world, the government has been trying to close the borders for them since May 2015, even by shooting and killing many of them again and again. Recently, calls for returning people to Syria have been voiced repeatedly by government officials. 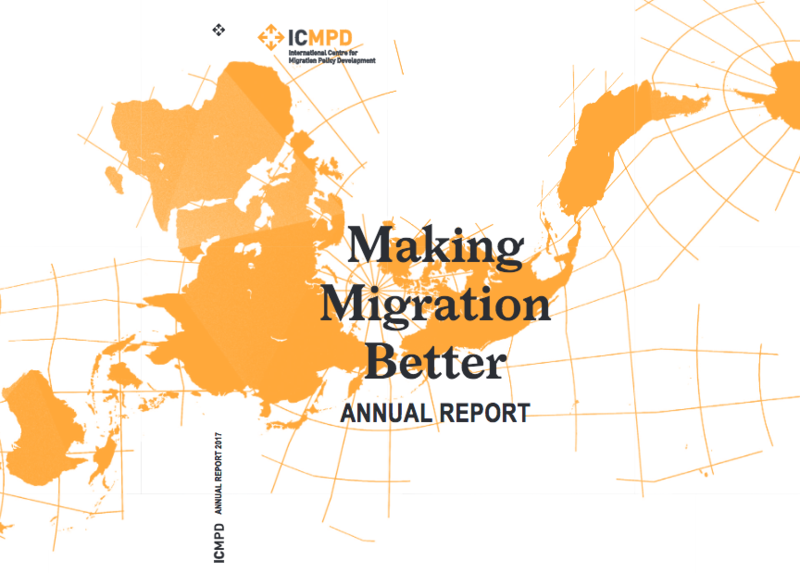 While joining ICMPD might also mean more exchanges about bettering the conditions of migrants living in Turkey, the most important motive probably remains a stricter control of migration. Following this idea, Turkish and Afghan officials have proclaimed to have reached some sort of readmission agreement on 8 April 2018 – although the Afghan government has officially denied this step afterwards. Throughout April, thousands of Afghans have been deported back to the war-torn country in what Amnesty International calls a “ruthless deportation drive“ – according to government statements up to 10,000 until the end of that month. And another readmission agreement had been signed before with Pakistan in April 2016. The agreements with the two countries are a consequence of the EU-Turkey deal: since Turkey agreed to take people back who are deported from the Greek islands in March 2016, the government is looking for ways to further deport them East. And the agreements are also a continuation of a longer process: even before the deal, the government has sought to reach such agreements with other states, as Turkey is more and more becoming a country of immigration. This is partly due to the EU’s externalization strategy, trying to make Turkey become a buffer zone for migrants on their way to the EU. Turkey’s joining of the ICMPD therefore might serve as a way to further the government’s own multi-faceted goals in getting a tighter grip on migration by profiting from knowledge exchange and cooperation projects with its Western partners. 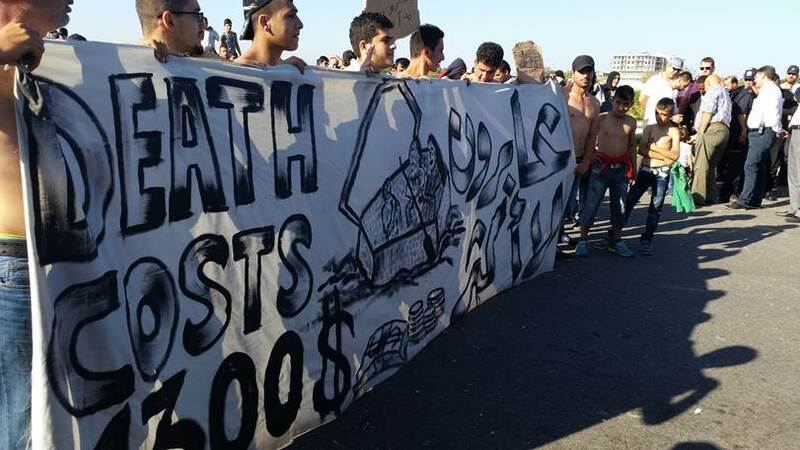 And it might hope for more funding for its migration-related activities. 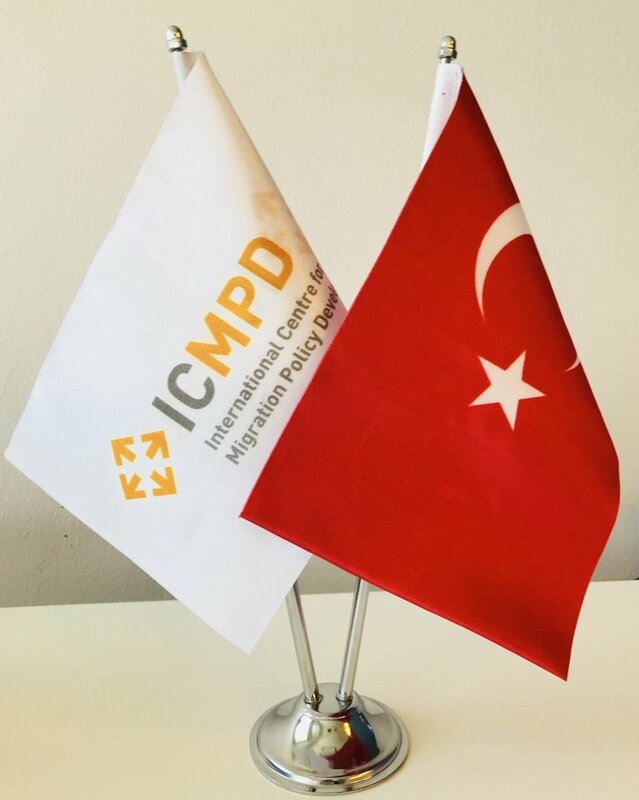 ICMPD has been active in Turkey for some years, including a project on the “development of institutional capacity” of the DGMM starting in 2013 and a recent 1.7 million $ project on “border management” funded by the EU. At the same time, joining the ICMPD might send a message towards the EU countries that the government is further seeking cooperation in migration matters – and that Turkey is still interested in accelerating the EU accession talks. The move coincides with the visit of an EU delegation to Turkey in mid May. Among the topics being discussed are the idea of a visa-free travel of Turkish citizens to Schengen countries – an important motivation for the government to sign the EU-Turkey deal – and the issue of refugees. The AKP government has been known for using migration as a bargaining chip in its foreign policies. So, the timing of joining the ICMPD might be related to this meeting. All in all, Turkey’s new ICMPD membership might lead to further attempts of complicating people’s movements through Turkey into the EU on the search for a better future, putting an even greater burden on their lives.